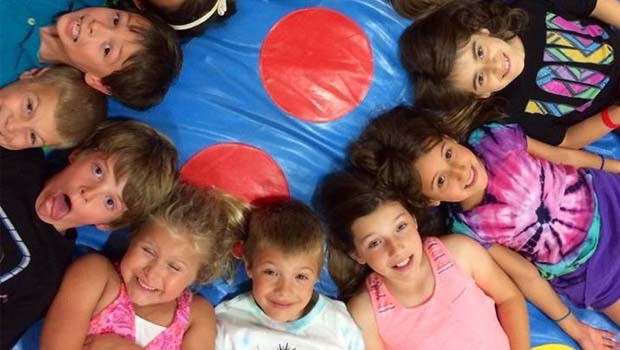 Franklin Athletic Club Birthday Parties – Franklin Athletic Club in Southfield hosts birthday parties and other party celebrations at their 225,000 sq ft facility! Kids and adults can enjoy Franklin Athletic Club’s two full-size gyms, indoor and outdoor swimming pools, overnight slumber party accommodations and 25 years of birthday party hosting experience! Host a party at Franklin Athletic Club for a party like no other. Franklin Athletic Club offers many options for a specialized experience. Inflatable and game parties, Basketball parties, overnight parties and swim parties are just some of the activities that you can chose from as well as custom parties designed around your child’s favorite sport or activity. The club hosts 2-hour parties for 1-15 children. Call Laura at 248 352-8000 ext 314 or email at lbarrick@ffrc.net for additional info and to book your child’s next party. See related posts below or our OAKLAND COUNTY/BIRTHDAY PARTIES tab for more Oakland County and Metro Detroit birthday party places and packages. Contact us at 248-534-3934 to be listed in our Birthday Party Directory.